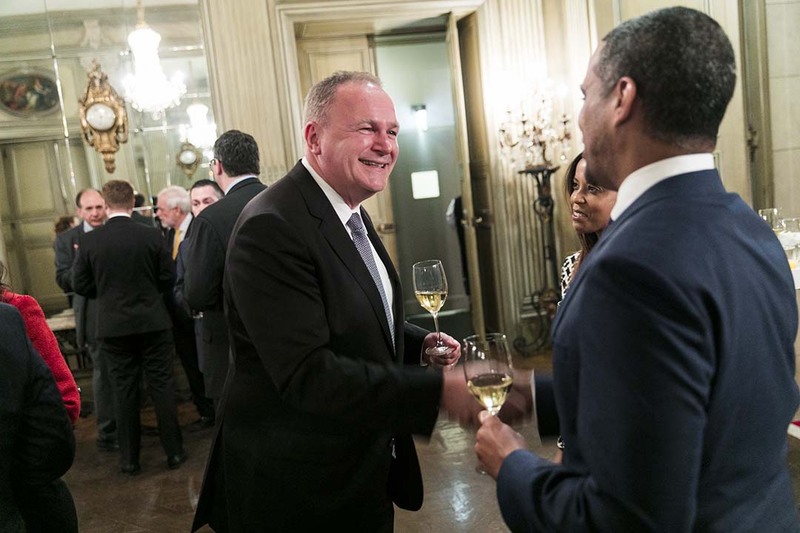 Ambassador László Szabó, MD, speaks about the Hungarian wine industry. 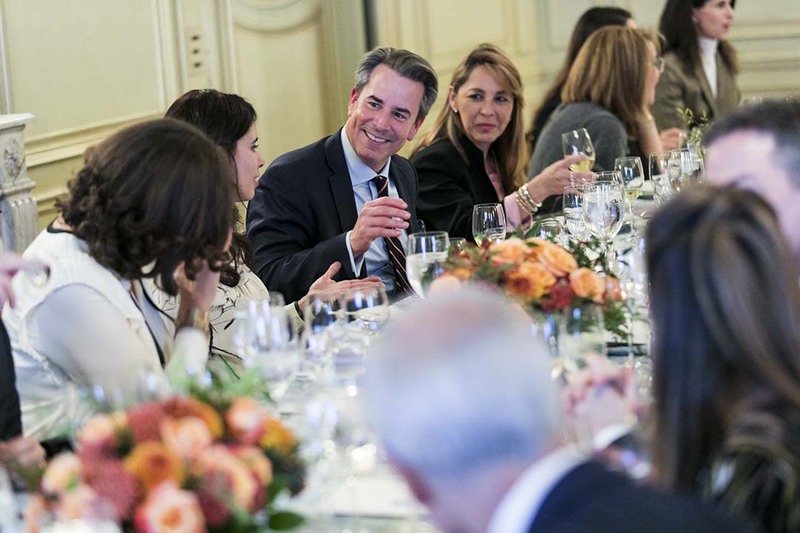 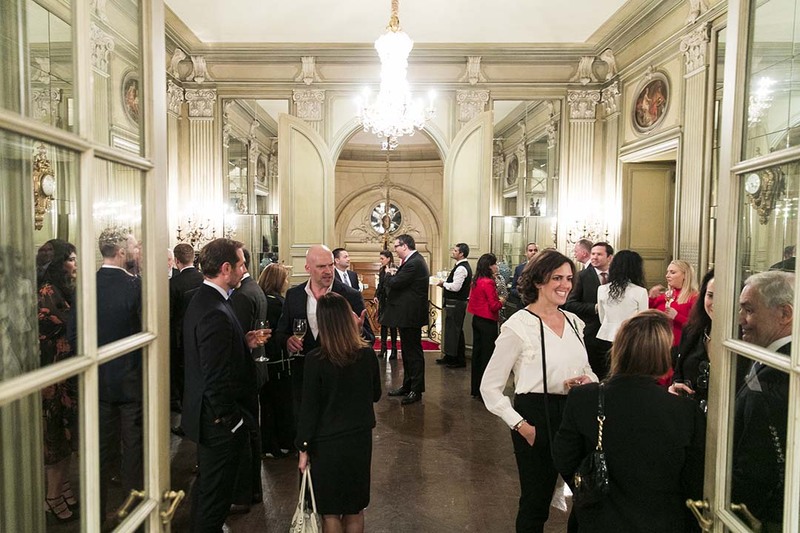 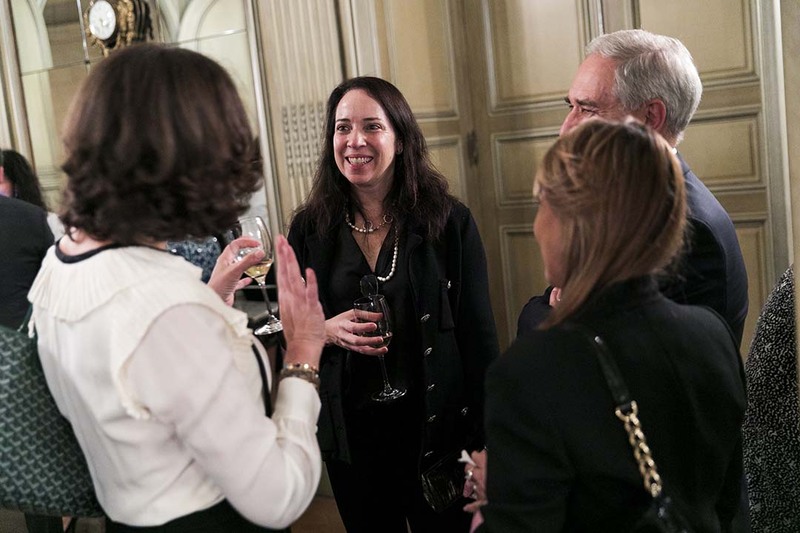 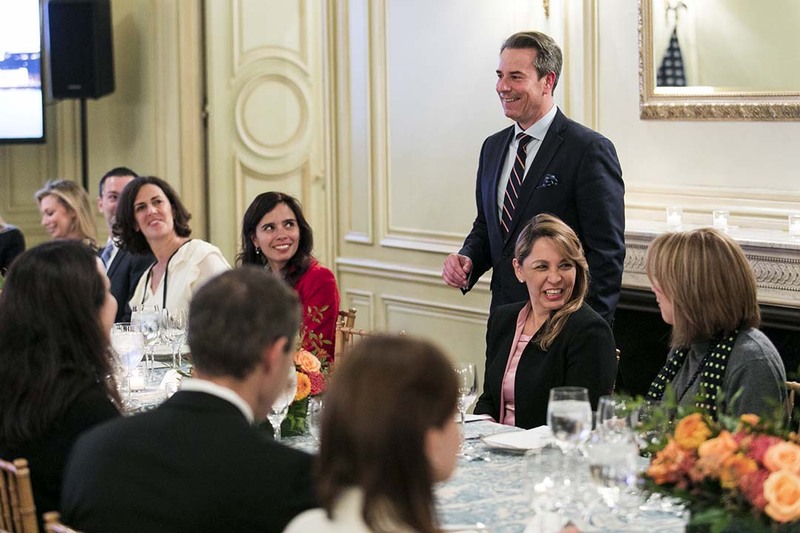 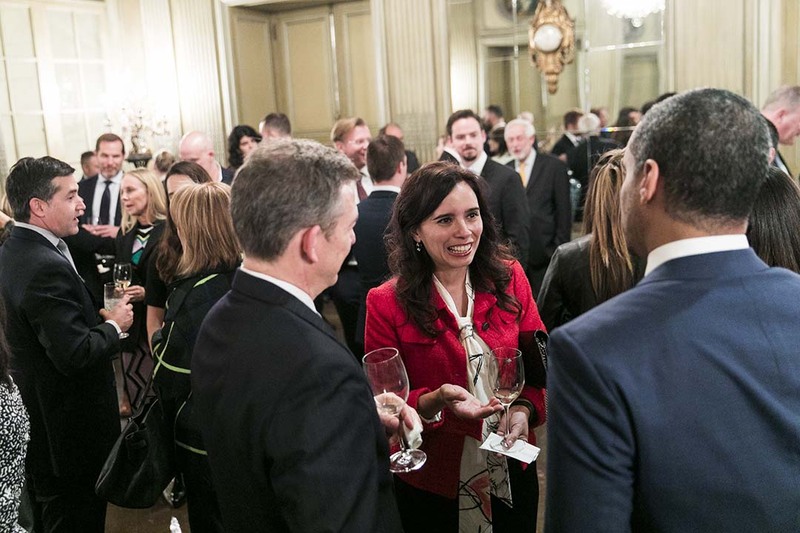 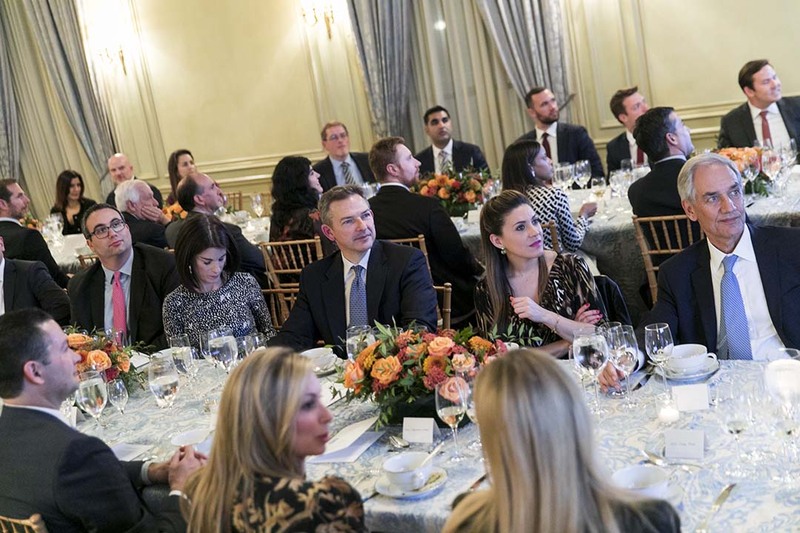 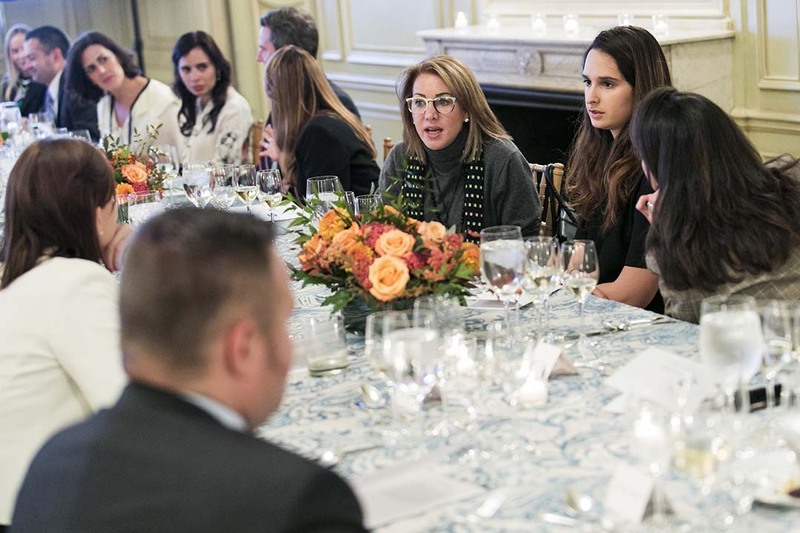 On November 7th, the Embassy of Hungary hosted the final 2018 Salon Series: Entrée to Dialogue at Meridian International Center. 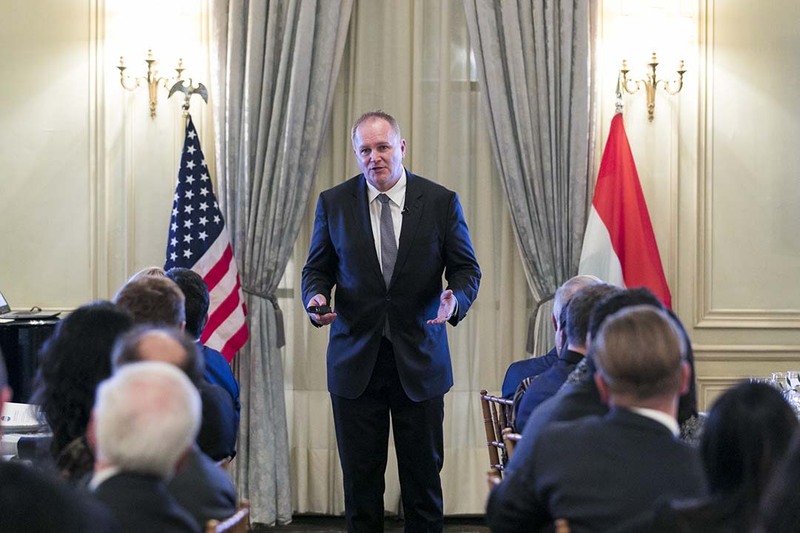 Ambassador László Szabó, MD, entertained the group with the interactive Hungarian web tool Prezi, sharing with guests interesting facts about Hungary: the country, the people and its influence in the world today. 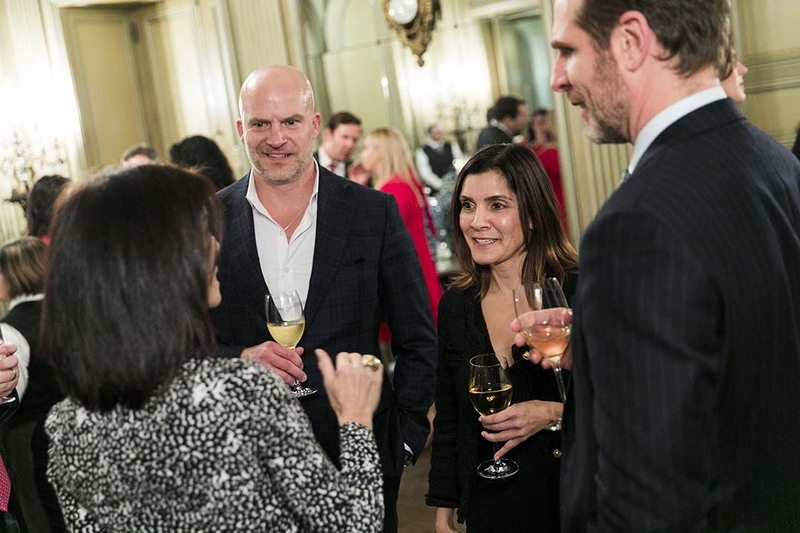 From science to the arts and from Europe to Hollywood, guests enjoyed hearing about the rich culture of this Country while feasting on a menu designed by the Embassy chef and enjoying fine Hungarian wines from the various wine regions in Hungary, which was the true focus on this evening. 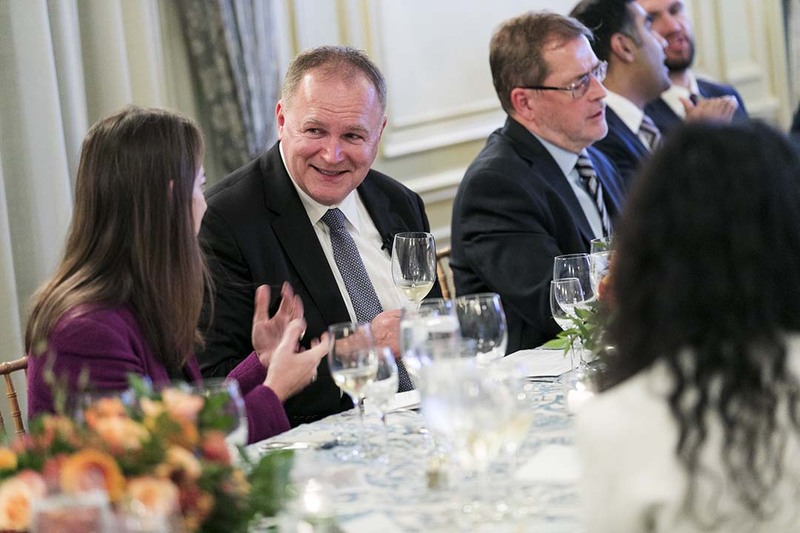 Joining our Global Leadership Council Members, were guests from fields in government and the local community, including State Department, Congress, think-tanks, and advocacy organizations who learned about several of the key wine-growing regions as well as the signature characteristics of various Hungarian wine varietals. 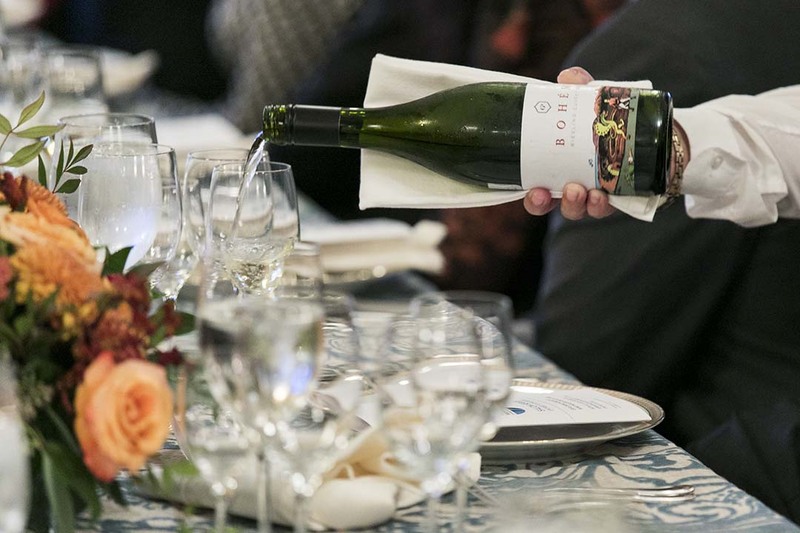 The official list of Hungarian wine regions includes twenty-two regions, which are usually grouped into five to seven larger regions, each with a different microclimate producing different tastes and styles. 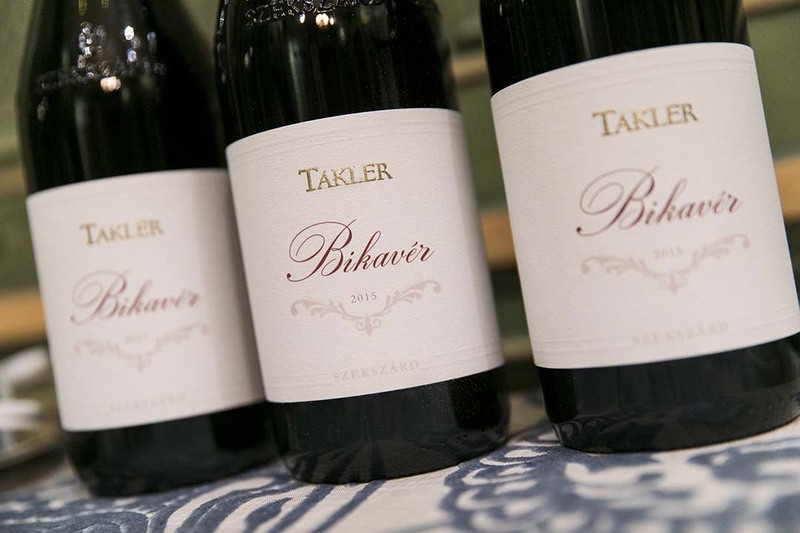 Since 1989, there has been renewed interest in the traditional varieties and new investment, particularly in Tokaj-Hegyalja, Hungary’s most famous wine region.